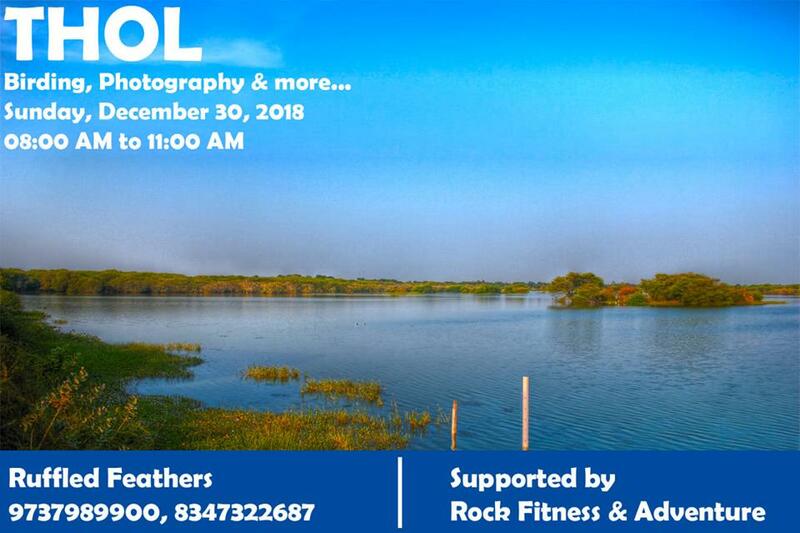 Thol is bustling with Bird Life at the moment with almost 200 species of Winter Migratory birds visit the lake each year. This gives us an opportunity to see some of the rarest birds and some really beautiful and colorful Avian visitors. Our aim is to introduce locals to these rare species and in the process create awareness about these visitors and get maximum number of people involved in the conservation of nature. If you have any children below the age of 12 we would love to have them on this event. We will arrange a guided tour around Thol, where we will share our own experiences as birders. Help you identify birds, tips on Birding, we will share our methods of cataloging our sightings. Photography is becoming lot more accessible to people and creating stunning photos is what most people wish they can do, we will share our tips on how to create those WOW factor images. There will be light snacks and refreshments at the end of the session. Vehicle and camera charges are to be born by the participants, the organizers will arrange for the entry fees of participants. We expect all participants to be on location before 7:45 so that we can have a brief round of introductions before we start off our day. Kindly read the form carefully and submit it if you are willing to be part off an experience you have never had and be one with Nature.